I hate that you feel the need to include your personal political stance within the contents of your professional platform. A separation should be respected and maintained. I teach not only immigrants, but many of them illegal. One of my students has just been featured in NYT for her and her families’ struggle. I get it, but you, like many who want to use social media for a purpose other than politics feel entitled to use that to broadcast your political views to an unsuspecting audience. If that is the case, please create a separate blog in which subscribers can sign up to hear what your political views are. I had subscribed to your blog for the purpose of pedagogical enhancement and a deepening of my methods and practices. This is a shame. I am sorry you feel that way. I have enough blogs already, thanks, and I have no intention of starting a political blog. I feel strongly that we have a responsibility to speak out when we have these types of concerns. Teaching is political. However, I feel this post goes far beyond “politics.” I am concerned about human rights. And I am deeply, deeply concerned about my students. My feelings will not be hurt if you feel you cannot subscribe any longer. I understand. I will not be silenced, however, and certainly not on my own blog. The more I think about this comment, the more it strikes me that it begins “I hate.” That word might just be part of the disagreement here. I wrote what I wrote out of love and concern for a student. For students. We can disagree with each other’s politics, but “hate” is a strong word. We use it a lot to describe things that just annoy us, and over time, perhaps some feel it lacks its punch. It doesn’t really mean “hate.” It means “I don’t like.” I am a teacher, but I am also a citizen in the world, in the United States, and this forum is still available to me to express my views freely. To tell someone they should hide their opinions, especially on their own blog—and yes, I am entitled to write what I want to write on my own blog—that is what I think is truly a shame here. Thank you, Dana. And Ms. Dudley, the answer is simple. If you don’t like what you see here, don’t visit. She has the right to free speech — at least for now 🙁 — and she is entitled to say how she is feeling on her own blog. Even if I didn’t agree with her, I can understand. This DOES relate to teaching. Most of my fellow teachers have been walking around under a cloud like Eeyore since the election. It is absolutely the lowest morale I have observed in 10 years of teaching. And in every school I’ve visited. Yes, it’s our immigrant children. I had the hardest time facing them the day after the election. But it’s more than that. In my experience, most teachers (not all, but most) are very patriotic AND very empathetic. And we have all — whether we are English teachers or History teachers — studied history. We know what happened with Hitler. We know what happened with Japanese Internment. We know what happened with McCarthyism. “Those who cannot remember the past are condemned to repeat it.” So for those of us who DO remember, it’s hard to sit here and watch. Sometimes I feel a bit like Mrs. Schachter in Elie Wiesel’s “Night” who is shouting about the flames as they approach Auschwitz. But no one listens to her. Thanks, Diane. I am actually teaching The Crucible right now, interestingly enough. I would like my students to examine the amendments to the Constitution and determine which rights the accused would have had, had they lived under the Constitution (an idea provided by my friend Glenda). I think they will make connections between what they are hearing on the news and what they are reading, which is exactly what I want them to do when they read—to see themselves and the world around them expressed through literature. Do you read Robin Bates’s blog Better Living Through Beowulf? I enjoy Prof. Bates’s blog quite a bit. I love the way he thinks about literature. I would love to be in his class. Just standing in support of you Dana and rejecting the idea that these issues are beyond political, but instead speak to our humanity. If it is too difficult for an educator to hear that you are worried for your students, that is a sad thing. It is sort of scary! Very proud to count you as a friend! I agree with everything you’ve said, and I am not offended in any way. We cannot stay silent. Thanks, Kirstie! 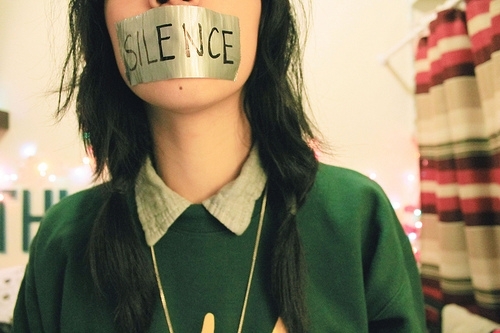 I stay silent too often, I think. Working on it.